Nothing like a Password: Trial and Resilience in the American Asylum System Anne Rodgers '20 completed a 2018 summer internship with Asylee Women Enterprise (AWE) through the Shepherd Program. These are her reflections. 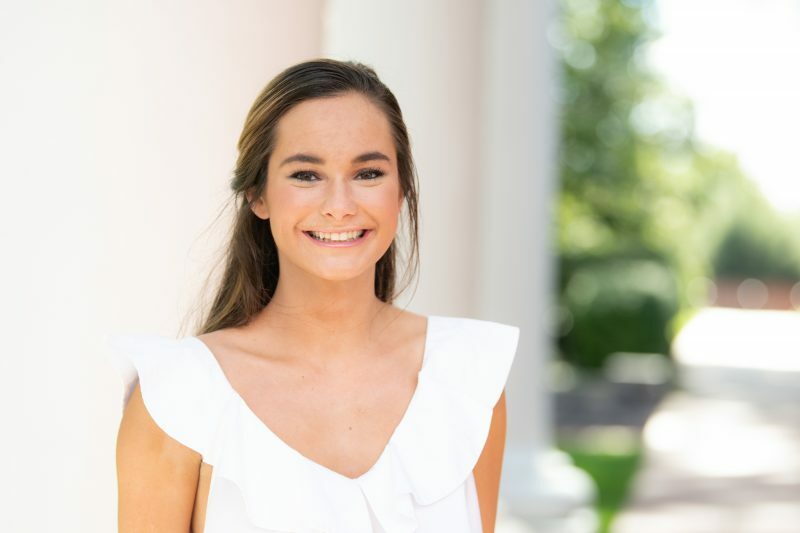 The following article by Anne Rodgers ’20 was originally published on the Shepherd Higher Education Consortium on Poverty website. Anne completed a 2018 internship with Asylee Women Enterprise (AWE). “We shouldn’t be hiring judges by the thousands, as our ridiculous immigration laws demand, we should be changing our laws, building the Wall, hire Border Agents and Ice and not let people come into our country based on the legal phrase they are told to say as their password.” – Donald J. Trump, June 21, 2018, 8:12 am, Twitter. On June 20, 2018, I was holding a little baby girl named Katie* at Asylee Women Enterprise (AWE). Katie is a United States citizen, but her mother is not. Although Katie doesn’t know it now, she is the reason her mother is seeking asylum in the United States. In her home country, her mother resisted several forced marriages, and was exiled from her family. She then became pregnant in a different country, but was arrested because it is illegal in that country to be pregnant out of wedlock. When she was 7 months pregnant, she fled to the United States. Upon arriving at an airport in the United States, she was detained. She spent a month in jail without prenatal care. Her asylum case is still pending. After a summer of working at AWE, I have found that “asylum” is anything but a “password” that asylum seekers say to get a green card. After arriving at the U.S. border, asylum seekers are put through a credible fear interview. 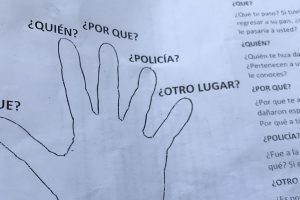 In this interview, an ICE agent picks apart asylum seekers’ stories to determine if they have a legitimate fear of persecution over their race, religion, nationality, political opinion, or membership in a social group. Sometimes a person’s history of trauma is written on his or her body, as is the case of a client who was attacked with acid in her home country for her work as a women’s rights activist. Other times, a client’s trauma is not apparent to an ICE agent, as is the case of a client who was raped in her home country by soldiers because of her membership in an ethnic group. Telling this story to a U.S. customs agent whose job is to find inconsistencies in your story is not easy. If your fear is deemed credible and you can enter the United States, the road to asylum does not get any easier. Asylum seekers, unlike refugees, do not qualify for public benefits. After fleeing their home and often arriving at the United States border with nothing, they face homelessness and starvation. Additionally, asylum seekers do not qualify for health insurance until after a year or more of being in the United States, which leads to many chronic conditions going untreated. Many asylum seekers arrive in the United States suffering from the physical trauma of the torture they went through, as is the case of a client who had unknown substances injected into his body, and motorcycles driven over his back daily after he was taken and detained by government officials in his home country. An asylum seeker cannot obtain a work permit until after six months of applying for asylum. Multiple clients at Asylee Women who were doctors, lawyers and politicians have been tortured for speaking out for basic human rights and democracy. In the United States, their higher education degrees mean nothing. With all of these needs, AWE provides a safe, supportive community space in which a case manager assists asylum seekers in finding housing, food, clothing, shelter, medical care and legal services. AWE also provides on-site programs for survivors of torture to attend in healing, cultural adjustment, and employment readiness while they are waiting on their work permit. These programs include a music therapy group, cultural orientation and employment training. AWE tries to find jobs that match their skills, so that they can utilize their strengths and skills to better the American economy after they attain their work permit. AWE helps asylum seekers to rebuild their lives—to make them citizens that are ready to strengthen American communities when they are granted asylum. Many asylum seekers come to the United States alone, not knowing how to speak English, and feeling extremely isolated in our current political climate that is so against immigrants entering the United States. Despite the struggle every day to survive in a system that is unsupportive of asylum seekers’ needs, as well as cope with the physical and mental scars of torture, the clients that I worked with this summer are the most resilient individuals I have ever met. Despite one client describing how she feels like she is “constantly going in circles” in our legal immigration system, she still comes every day to English class at AWE. At Asylee Women, clients have a place to call home as they are living in limbo, not knowing if they will be able to stay in the United States. The clients rely on each other for strength through this process, and the caseworkers at AWE support these individuals in their trauma recovery. This summer at AWE, I have learned that we must stop seeing asylum seekers as individuals that are trying to “game the system,” as they have lost everything that made them feel human. The large percentage that have legitimate claims should be treated with the dignity and respect that they are legally entitled to. We could all be asylum seekers if we lived in a country where voting for a political candidate, believing in a certain God, or being gay meant that you would be targeted, tortured and possibly killed. As the Program Director at AWE stated at a community meeting in Baltimore, we must start seeing asylum seekers as our neighbors, our friends and our family.